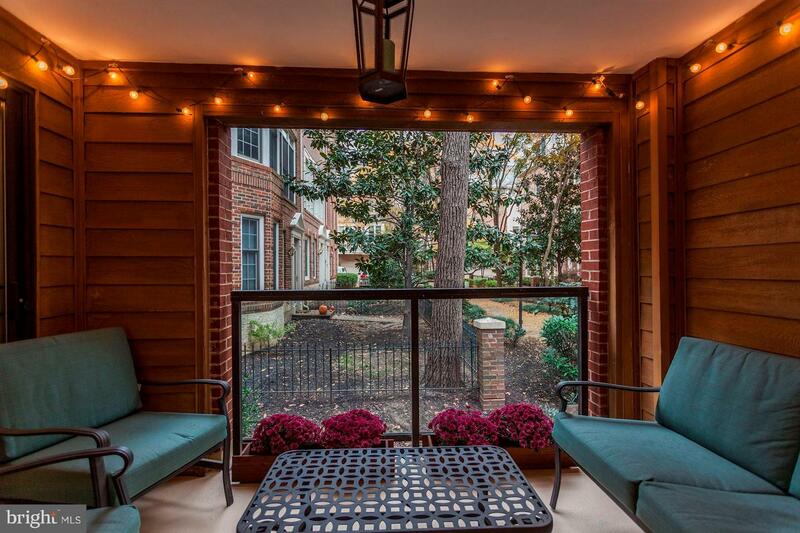 Rarely available, gorgeous ground level 2 BR/ 1 BA condo ~ the elevator to the Ballston Metro is right on this block! Private patio overlooks garden area, updated kitchen (w/ pantry added 2017) and renovated bath- 2017 & NEST thermostat. In unit washer/dryer, storage unit, granite counters, hardwood floors, 1 pkg space conveys. Building amenities: outdoor pool, onsite management, low condo fees, pet friendly building. Walk to restaurants, shops, bike path, parks and more! Welcome home!